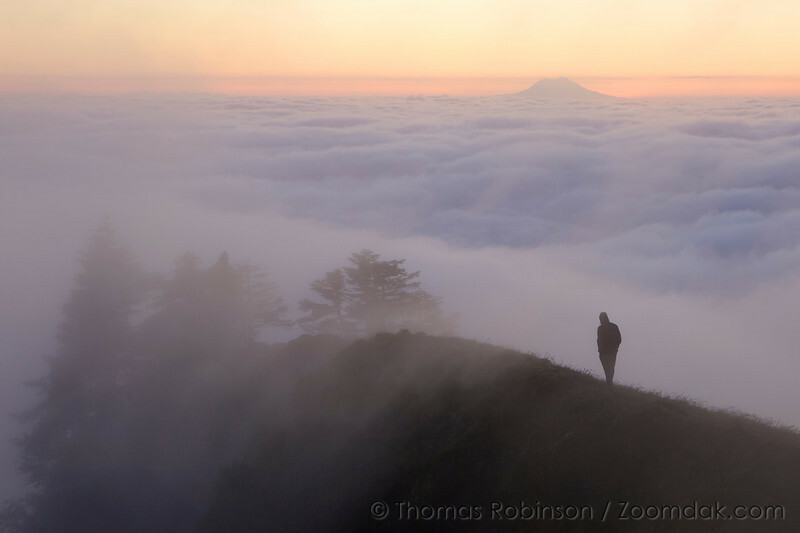 A single hiker walks a ridge top near the top of Saddle Mountain before sunrise. Mt. Rainier is visible above the clouds in the background.